Periodic Tableware marries the clarity of science with the art of mixology, capturing the reaction between laboratory glass and modern barware. 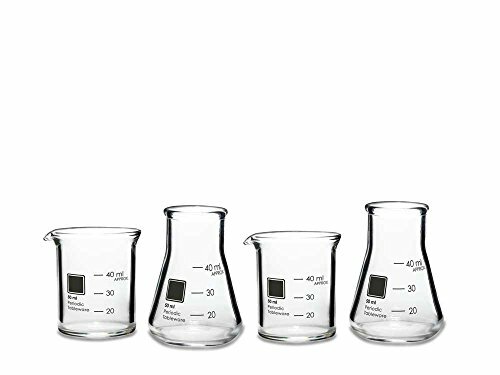 The Shot Glass Set is made from thick walled borosilicate glass beakers and flasks with chemical resistant graduations. If you have any questions about this product by Periodic Tableware, contact us by completing and submitting the form below. If you are looking for a specif part number, please include it with your message.